USA and Europe Maps on SD/Micro SD also available. Purchase GPS Nuvi 200 3.5 with 2016 USA / CANADA Maps and points of interest on sale for $99. Add Europe Maps above for only $79 ($5 discount). 1 year Mfg warranty. Purchase GPS Nuvi 750w 4.3 wide Text to Speech (TTS) with 2016 North America (inc Canada). Also includes Multi-Destination Routing (load address and allow unit to prepare route). Built-in FM transmitter. Includes points of interest on sale for $149. Add Europe Maps above for only $79 ($5 discount). 1 year Mfg warranty. 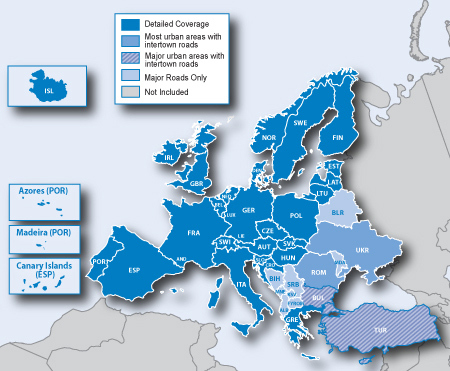 Includes full country coverage for Western Europe and many countries in Eastern Europe; see coverage map for details. Now with full coverage for Greece. Expanded address ranges for Belgium. 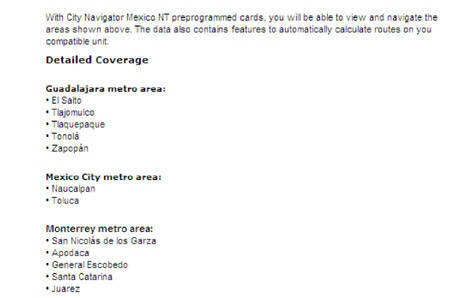 ATM/cash stations added for all covered countries. Displays over 1.7 million points of interest — restaurants, lodging, border crossings, attractions, petrol stations, campsites, shopping and more. Offers nearly 8.5 million kilometers of road coverage including motorways, national and regional thoroughfares and local roads. 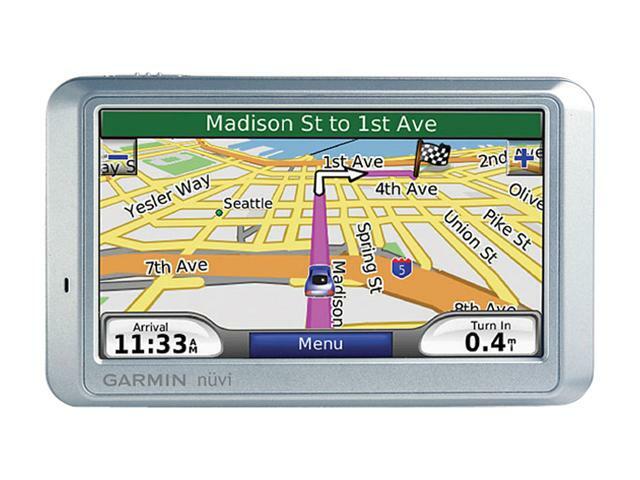 Enhances pronunciation data for compatible Garmin devices that speak street names (example: "Turn right on Main Street."). Turkey: Detailed coverage of Akyurt, Altındağ, Çankaya, Elmadağ, Etimesgut, Gölbaşı, Keçiören, Mamak, Sincan, Yenimahalle, Adalar, Avcılar, Bağcılar, Bahçelievler, Bakırköy, Bayrampaşa, Beşiktaş, Beykoz, Beyoğlu, Büyükçekmece, Eminönü, Esenler, Eyüp, Fatih, Gaziosmanpaşa, Güngören, Kadıköy, Kağıthane, Kartal, Küçükçekmece, Maltepe, Pendik, Sarıyer, Şişli, Sultanbeyli, Tuzla, Ümraniye, Üsküdar, Zeytinburnu, Balçova, Bornova, Buca, Çiğli, Gaziemir, Güzelbahçe, Karşıyaka, Konak, Narlıdere.